California is hosting an international summit this week to push for global action on climate change. While the Trump Administration steadily rolls back climate policies — or attempts to — cities, states and businesses from around the world are pledging major action to cut carbon emissions. On Monday, Gov. Jerry Brown set the stage by signing a new state law to be using 100 percent clean energy by 2045. He also issued an even broader, but less fully developed, executive order for California to be free of fossil fuels altogether by mid-century. But if California is going to reach its ambitious climate change targets, the state will have to tackle its toughest challenge yet: cars, and the Californians who love them. Transportation is the state’s top source of carbon emissions and those emissions are still climbing. 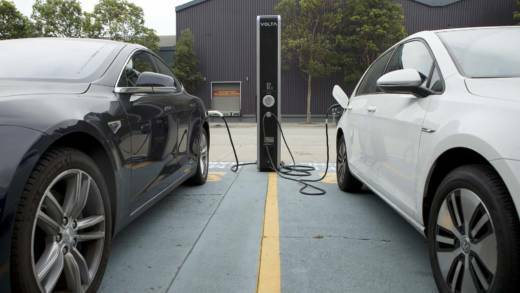 Today, electric and plug-in hybrid cars are only six percent of new vehicle sales in the state. "But changing the minds of car-loving Californians is a less straightforward problem. 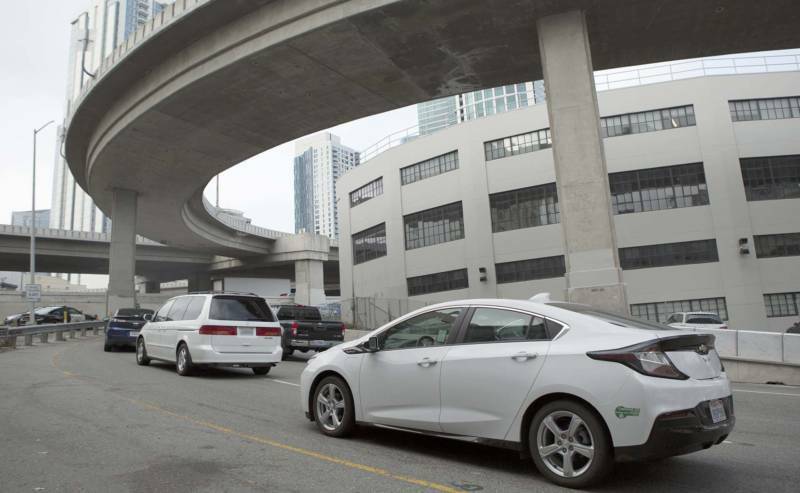 Electric cars have made major inroads in the Bay Area and Los Angeles. In Palo Alto, where Teslas are a common sight, plug-in cars made up 29 percent of new vehicle sales in 2017. 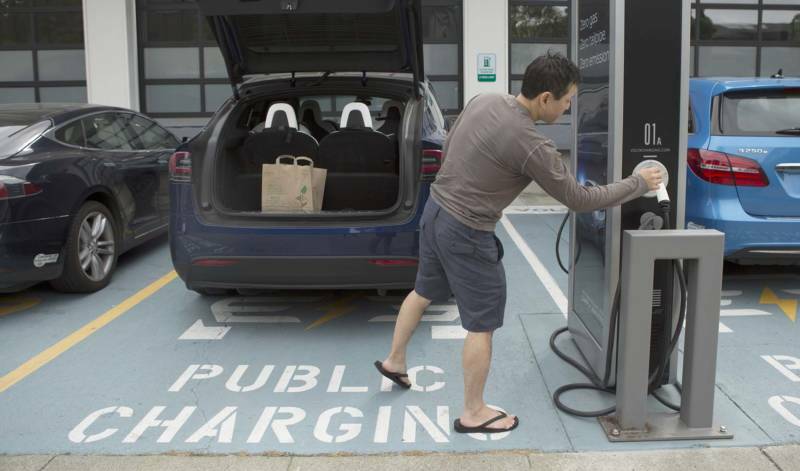 “The main issue is that most of the Californians are not aware of the benefit and opportunity of buying plug-in electric cars,” says Gil Tal, who directs the Plug-in Hybrid and Electric Vehicle Research Center at UC Davis. Tal says that in California, electric cars are cleaner than gas cars, because the electricity comes from a growing amount of solar and wind power. “If you buy an electric car today and you drive it for 10 years in California,” he says, "your car will be cleaner every year." That might be an incentive for some buyers, but there’s still a perception that electric cars aren’t practical. Tal says that with technological advances, that’s no longer the case. Newer models of electric cars are more affordable and automakers plan to release new plug-in crossovers and SUVs. In California, a buyer can get $10,000 back in federal tax credits and state rebates on a new car. And car buyers usually don’t change their minds once they get to a dealership. The question is, if people make up their mind before going to a dealer, and electric cars are not on their radar, how could a manufacturer reach them? Probably not by advertising. Chances are most people have never seen a television ad for an electric car from a major car company. So far, Chevy hasn’t run a national TV spot for the Chevy Bolt, just regional ads in markets like the Bay Area. Volkswagen is running a public service announcement for electric cars, but they are required to do that. It's part of the penance for an emissions-cheating scandal. “The automobile is an emotional object,” says Mimi Sheller, professor of sociology at Drexler University, pointing to the messaging we get in car ads. “There’s a long history of associations with masculinity and speed and power,” Sheller says. “I think we are influenced in many ways by all those cultural suggestions that are around us." Ads for jeeps might show the tires grinding through deep mud, and ads for SUVs might show focus on families, highlighting safety, protectiveness and caring. Today, demand for trucks and SUVs is up in the U.S. So, Sheller says, the switch to a new technology, from gas to electric, might take a disruption of some kind, like high gas prices, or a generational shift. “There’s a younger generation, kind of millennial or post-millennial generation, who maybe have a different feeling towards owning cars,” she says, "and are more sympathetic to electric vehicles." Bottom line: If California is going to meet its climate change targets, residents will have to change how they think about cars – and soon.